First let me apologize to environmental evangelists for suggesting a waste of paper. But if one is going to buy a hardcopy calendar anyway, why not make one of your own? With that thought I fired up the search engines to hunt down some of the sites which lets us design, download and print calendars of our own. There are a lot of paid websites which gives you a lot of bang for the buck, but a free service has its own appeal when you don’t want to feel lighter at the turn of the year. Here at MakeUseOf you will find mentions of three calendar creating websites. These are Free Photo Calendars, Compact Calendar Creator and Printable Calendars. This list gives 10 more ways to ignite the creative Zen. As simple as it gets. Printable Calendars is a free service that lets you download printable calendars in RTF format. 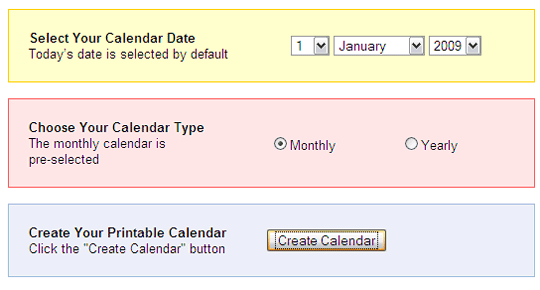 Select your calendar date by month or year and hit the create button. Download the RTF file and print a calendar using your printer. A site leaning more towards MS Office templates and Excel calculators also has a calendar tab. Vertex has a fairly good assortment of calendars which can be downloaded in the PDF format and printed. The calendars though are unembellished with graphics. You get the calendars in both portrait and landscape modes and in varying colours. Most of the calendars also come with U.S holidays marked out though there is the blank option as well so it can be used by anyone. All calendars are free and the only constraints are the link and the copyright notices which come printed as footers. This site is hardly anything to look at but it offers another simple way of making simple calendars. The calendars mostly are in monthly formats. It’s all on one page. Some format options like “˜Monthly Vertical’, “˜Monthly Horizontal’, “˜Bold’ and “˜Extra Bold’ are the few you could choose from. If you like a simple calendar in a jiffy then this website could be one tool to look at. This website offers free calendars that become your own with just a printer. You get calendars by week, month and year. A few blank templates are available that you can use for filling up as you like. Six nature portrait based calendars are available which would require a good colour printer at your disposal. Though the choices are limited you can give this site a see through. Hewlett Packard has put up a few calendar templates on its site. You can customize them by downloading it in the DOC format and adding your or the company name to it. The templates include – monthly calendars, quarterly calendars, yearly calendars and an interesting 3-D calendars section. CalendarLabs (Alpha) gives you a variety of print-ready calendars. The motley group includes – Monthly and Yearly calendars, Holiday calendars, iCal holiday calendars, PDF calendars, Blank calendars, Astrology calendars, Printable calendars (Customize by paper size and download in MS format) and lastly Photo calendars where you can use flora or fauna images or one of your own. To print just click on the desired calendar link. Follow it up by clicking the “˜Printable Format’ link which opens a pop-up with the calendar. Use the browser’s print function to take it to the printer. This website lets you use your own image or fall back on the plethora of themes to generate your personal calendar. From themes like the 10 Commandments to images of Animals, Holiday Season and Cartoons. You can either use the colour images or its b/w counterpart. The site also covers calendar creation in any of these languages – English, Spanish, Dutch, French, Italian and Latin. The calendars generated are not very stylized but serve simpler purposes. Things get savvier with this web service. 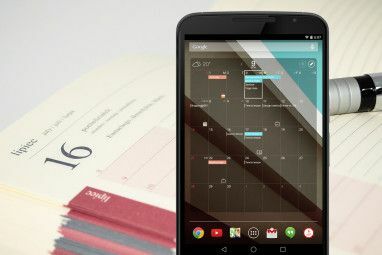 SpeedyCal is a free calendar making application which lets you use default images or user uploaded images to create high quality downloadable calendars. You can choose images from a default gallery (or your own images), add borders and select fonts and create a calendar in a 12/18 month format. You can also choose to mark out U.S or South African national events. A more flexible approach by adding your own events is also allowed. The final stage takes place in the PDF Folder of the program. You can quickly check your handiwork through a “˜Create a Preview Quality PDF’ or adopt the slower approach of “˜Create a Print Quality PDF’. The latter assembles all your data and generates the finished calendar after a delay depending on the data. All that is left for you to do is to download the finished PDF file and print it. The interface is slick and the web service requires signing in and an email validation. In most cases school-going kids require calendars just as we do. Disney Magic Artist is a tool which allows them that. The interface is child’s play. Select an image of a Disney toon…select the month by using the arrows…mark out special days by clicking and dragging the given stickers to the calendar…click on the print button. If you like to save your ink/toner then go for the B/W option provided. Last but certainly not least, one of the easiest ways to create a personal calendar is available closer to home especially for Windows users. With Microsoft Office and its online website, users can download dozens of calendar templates. From Asian patterns and prints to a lunar calendar are interspersed between the classic designs. Some the templates are customizable. Also, some templates are downloadable depending on the version of MS Office being used. There is another caveat for some of the templates – some downloads require a genuine copy of MS Office Suite. It’s always nifty to have your own personalized calendar hanging on the wall and it’s also not bad to have it for free. Do you know any other calendar making website out there? Explore more about: Calendar, Printables, Printing. It is a wonderful page! The whole office where I work went with them for 2009, and we will definitely print those calendars for year 2010. It is exactly what we needed for our work. Geez... To think that few months ago I've been waiting for the stores to start selling 2009 calendars.. Thanks! Good stuff. For years I've been printing out a free calendar made available at pdfpad.com. No frills: it's just a calendar, period. The site also offers a range of technical graph paper, country flags and sudoku puzzles - also at no cost. I would have liked to see an option to put birthdays, anniversaries and reminders into the calendar so that it would print them automatically. I used to have a free program that did this but I can't find it now. You can put them into the templates manually. And then print them out. Most of the calendars can be used as monthly planners...that's there best utility. In fact, I use the Microsoft templates for the same purpose. Missed this one...the calendars look great. Thanks, Venkat. Quote : " This is my favourite calendar for the year of 2009. The colors of the fruit and flowers are so vibrant and beautiful that I can almost smell them." Get over yourself. It's a a poor article with bog standard resources made to seem in some way *coughs* amazing. Way to not realize that was a screenshot from the website in question. 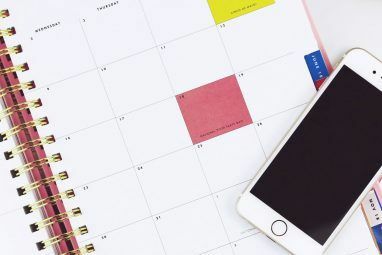 The article was useful for folks who may not have thought about making their own calendars and now have many options presented to them in an organized fashion. It's amazing you wasted four seconds reading it and then commenting that you didn't like an article you read on the Internet. I guess the article was useful for folks who need an excuse to troll, too. Either way, thanks for the tips, Saikat! Lots of options to choose from.